Sunday, July 19 at 8 p.m. Eastern on NBC. Two episodes air per night. Welcome To Sweden was last summer’s sweetest surprise. 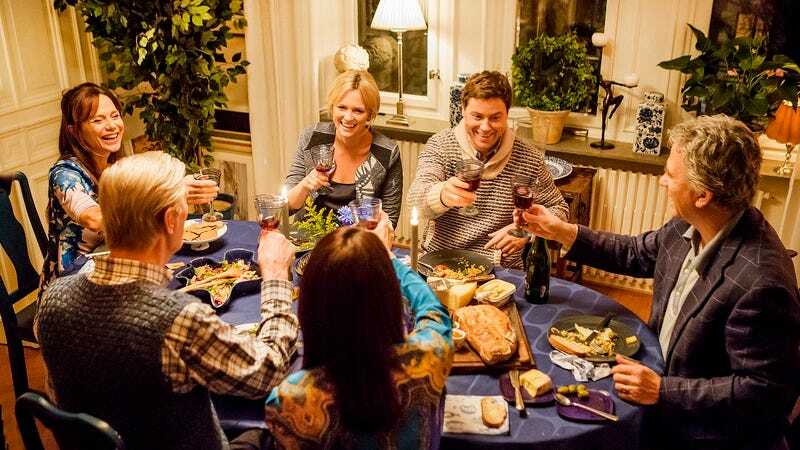 Greg Poehler, brother of infallible Amy, tried his own hand at a sitcom by translating his real-life experiences of following his future wife from the United States to Sweden, chronicling his problems with the cultural differences between the two countries. As Bruce, Poehler walked through the first season in a befuddled haze but resolved to stay and make it work to be with his girlfriend Emma (Josephine Bornebusch). The second season is as lovely to watch as the first, but it smartly dampens Bruce’s cultural tone deafness and expands the scope of the series to focus more on Emma and her family. While Bruce is still Welcome To Sweden’s center, Bornebusch emerges on equal footing with her co-star. “I’m just going to come out and say it,” Bruce says to Emma’s father Birger (Claes Månsson) to start off the second season. “I’m going to ask Emma to marry me and I wanted to stop by to get your permission first.” “Well,” Birger replies, “that’s not up to me. You have to ask Emma about that.” This conversation is the type of cultural mismatch that characterized the first season, yet it perfectly encapsulates the tone of the entire show. Each side—be it American Bruce or his Swedish in-laws—interact with the best intentions, but just miss each other’s meanings. Bruce has decided he wants to marry Emma, a custom that is simply not as big of a deal in Sweden as it is in the States. Swedish weddings are boring and expensive, Emma tells Bruce before she knows his intentions. Why not just go to Thailand? Because for Bruce, it is important that he be able to keep his American identity intact. Keeping that identity is integral to the heart of Welcome To Sweden. The show is made with two audiences in mind: an American one and a Swedish one. Part of its appeal is that both sides are given equal weight. Bruce is not an American caricature, and his future in-laws aren’t a clan of Swedish Chefs. Like Poehler’s sister’s recently concluded NBC sitcom, the humor comes from a place of love and positivity. Bruce may not understand these people, but he has affection for them—as does the show. The same could be said for how Bruce is viewed by his in-laws. While the British import Catastrophe is considerably more barbed in its humor, both shows share a lot of the same DNA (and a joke about engagement-ring size and price). What drives both shows is not the differences between the two main characters, but their bond and chemistry. 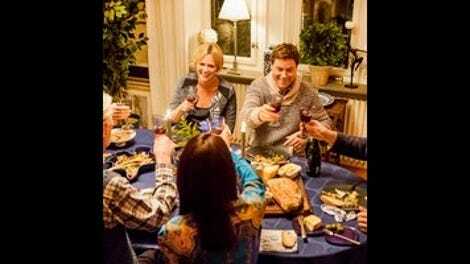 Welcome To Sweden doesn’t hit the same the emotional depth as Catastrophe, but that’s not its goal. Bruce and Emma’s engagement is the through-line of the second season. It’s a natural step for the couple (it’s odd to think that he hadn’t proposed before moving halfway around the world, but, once again, that’s the American perspective talking), but it doesn’t completely highjack the show. Instead, it gives the second season a purpose. In the first episode, “Flash Mob/Frieriet,” Bruce wants to propose to Emma but is continuously thwarted by his fiancée-to-be—who voices her indifference to marriage without knowing Bruce’s intentions—and Emma’s brother Gustav (Christopher Wagelin)—who, at 30, has been kicked out of Viveka (Lena Olin) and Birger’s house. Gustav, dressed in Army garb, helps Bruce to organize a flash-mob proposal, complete with a band and doves (or at least the best birds Gustav can afford). Just as in the first season, cameos by American and Swedish celebs are worked into the framework of the series, with Jason Priestley and Jack Black (among others) playing themselves, and Neve Campbell appearing as Emma’s new co-worker. But this is really Emma’s season. Bornebusch, who is also a writer for the show, spent a lot of time last season as the audience’s relation point. While American audiences have the same view of Sweden’s cultural differences, we also had the benefit of omniscience, of seeing how Greg was being viewed and ultimately how ridiculous he looked. So it was Emma that we made Jim-from-The Office-style smirks with from the comforts of our couch. She still has that role, but she also gets more to do this season, learning about the power of social media (and the upsides of becoming a meme) and showing off her competitive streak. She’s a wonderful comic actress and her expanded role is a welcome one. Like the first season, NBC speeds through airing the second string of episodes, which is an advantage for this uncomplicated and adorable series. The only downside to such a swift schedule is that there’s less time to spend in Sweden.